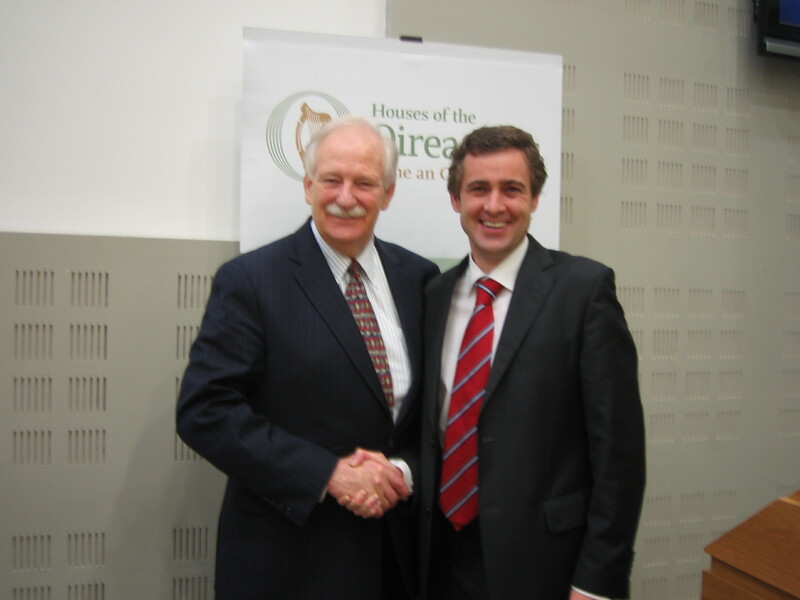 Seanad Spokesperson for the Irish Overseas and Diaspora , Senator Mark Daly held a briefing last night in Leinster House for all Oireachtas Members on the issue of the Undocumented Irish in the United States with Congressman Bruce Morrison. Following this briefing Senator Mark Daly has pledged to form an All Party Oireachtas Committee to work on the issue of the 50,000 undocumented Irish currently in the United States. Congressman Morrison outlined the political atmosphere in the United States following the recent re election of President Obama with much focus now on the Immigration Issue and the need for Comprehensive Immigration Reform. The immediate focus for the Irish on Capitol Hill must be the E3 Visa, which if passed would give the Irish 10,500 work Visa per year. Congressman Morrison commended the work of Members of the Oireachtas in the past on this issue and showed his full support for Senator Dalys pledge to set up an All Party Oireachtas Committee.